OK. I admit I am stupid. 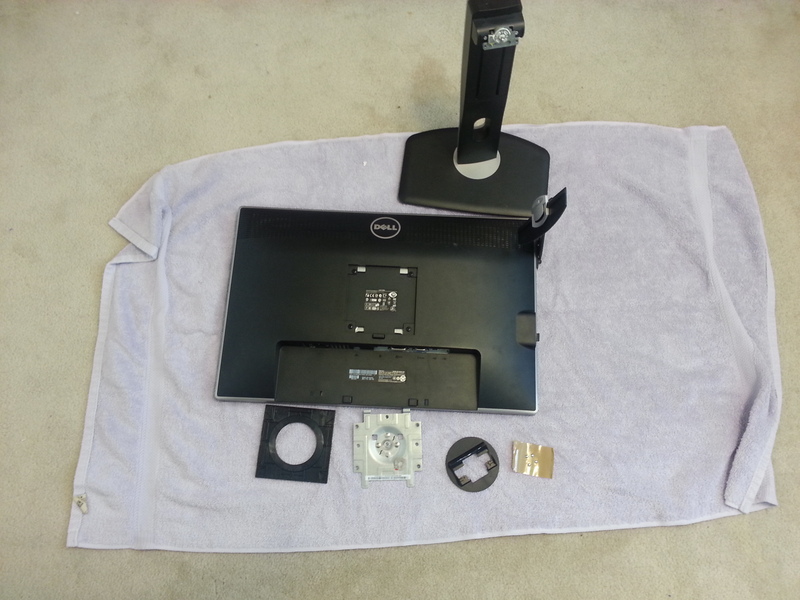 I am trying to attach my Dell U2412M to an Ergotron LX monitor arm. I could find no instruction on how the Dell U2412M attached in back so I started taking the back assembly off. Now I have pieces and I don't know how to re-assemble them or how to attach the monitor to the monitor arm. Does anyone know where I can obtain assembly pictures so I can either put this thing back together or attach it to the Ergotron LX arm? All you needed to do was remove the stand from the rear of the panel to expose the four VESA mounting holes. Post some pictures of what you have done. I tried emailing but received a failure notice. How do I send the photo? OK. Hopefully this will work. Sorry for my ignorance! Ok, grab the the monitor panel and remove those 4 screws. Use those same 4 screws to attach the ergotron arm to the monitor panel. Can I buy the entire arm assembly? I assume you mean the Ergotron monitor arm.